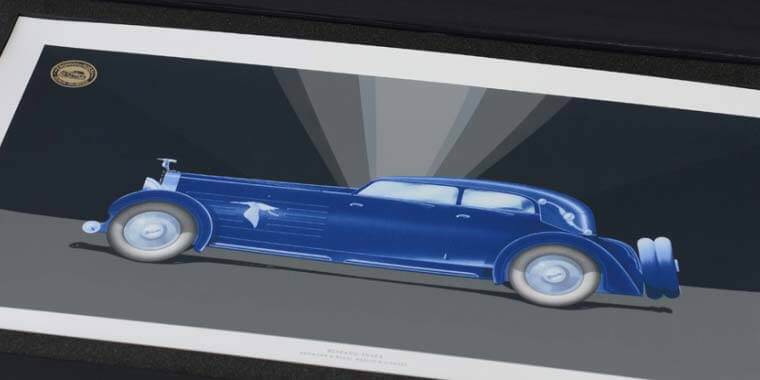 In collaboration with our licensing partner Automobilclub von Deutschland (AvD), we are pleased to be able to present an exclusive portfolio of art prints featuring designs from the historical coachbuilder Erdmann & Rossi. 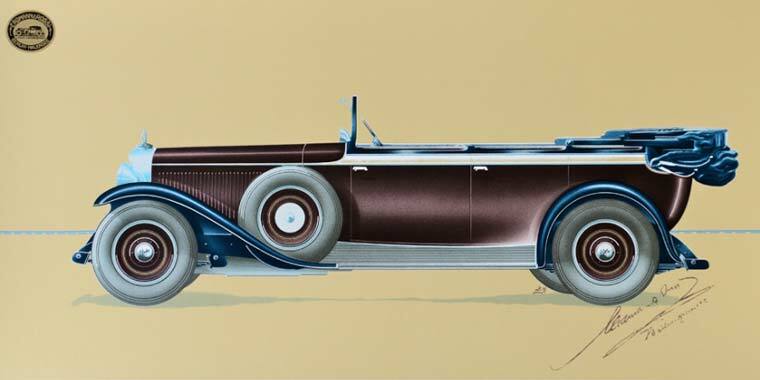 The designs were created between 1916 and the end of the 1930s. The folder comprises six screen-printed sheets of 67 x 34.5 cm offering the same visual quality as the originals. Up to 12 colours have been used for each motif, allowing for a differentiated image shadowing with each colour. 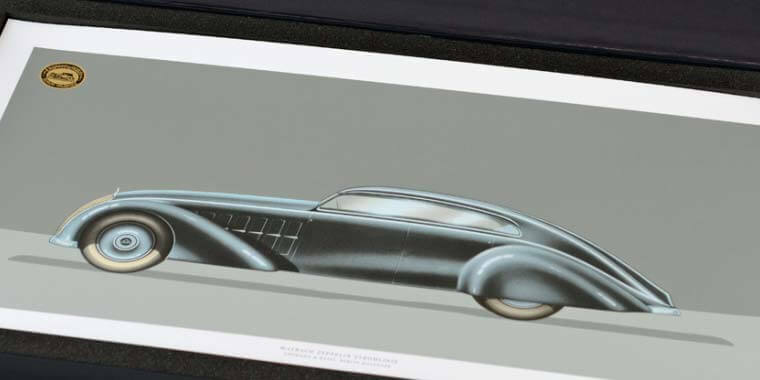 These masterpieces of printing are a must for every petrolhead bookworm. Last but not least: The prints are also ideal for decorating your own four walls. 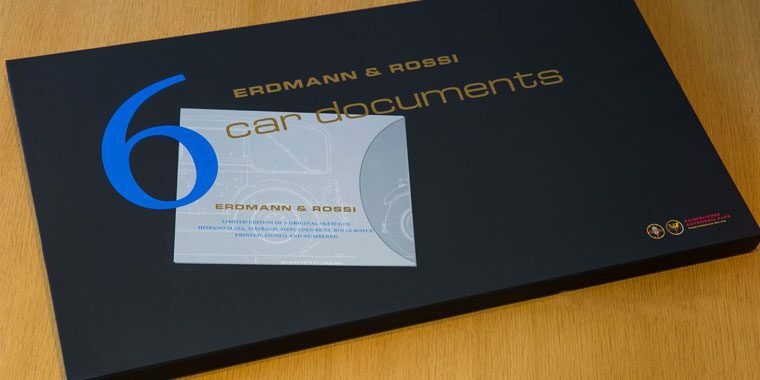 The portfolio is complemented by a brochure on the history of Erdmann & Rossi. Limited edition (200 copies), numbered and hand-signed. Price: EUR 670 (incl. VAT and delivery costs) / CHF 750 / USD 780 Delivery only upon advance payment. The contract is with our licensing partner Automobilclub von Deutschland (AvD). Your request is legally non-binding. We forward all requests to our licensing partner. An individual contract will be concluded with you subsequently.